I've been thinking a ton about curriculum design lately. 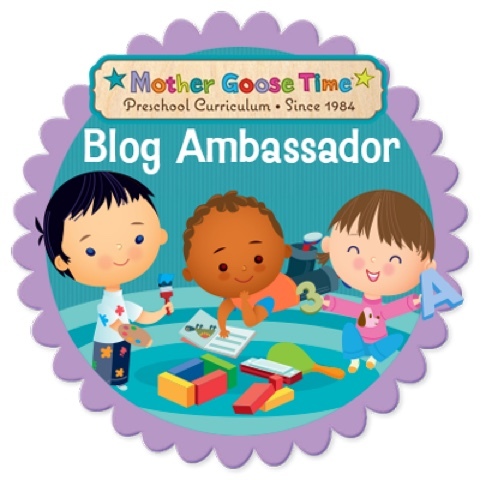 It's actually one of my most favorite things to write about, so when Mother Goose Time asked their bloggers to write about it, I got pretty excited. 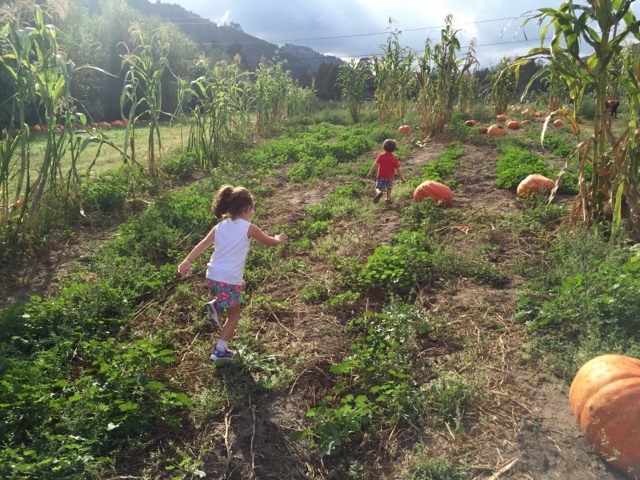 This upcoming year I will be schooling my children in a way that I hadn't imagined. I certainly had no idea that I'd be homeschooling through a charter school. (If you would have told my public school teacher self six years ago that I'd be homeschooling, I would have flipped out! Homeschooling is weird!!! And anti-social!!). Well, it is certainly no secret that I don't find homeschooling to be weird or anti-social anymore. I believe that a huge part of what will make my homeschooling journey a success is choosing appropriate curriculum. Tiny B's charter homeschool will choose her curriculum, which I am totally fine with for now. I trust the public school to choose curriculum to educate my child to have mastery over the learning objectives. There was not one single curriculum choice that I was given to use as a public school teacher that I did not think could be used in an effective way. My feeling might change, but for now, I completely trust their choices for her at this point in her schooling. Strong B will be in his second year of preschool (his first year completely at home with me :) and I will use the absolutely fabulous Mother Goose Time (MGT) again. 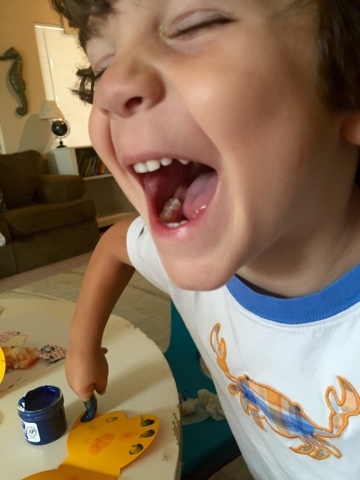 It is a huge part of why I feel confident enough to bring him completely home to homeschool. 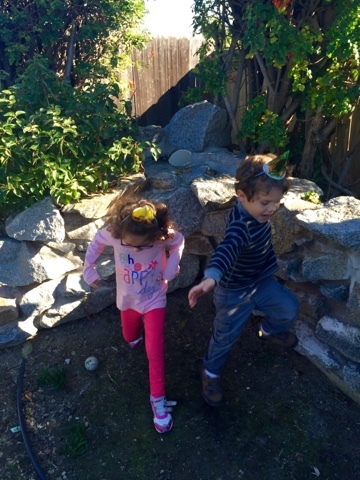 It absolutely brings together the teaching of all of the necessary preschool objectives as well as the excitement and love needed to reach preschoolers where they are and deliver the material in a way that will build a deep love for learning within their little souls. 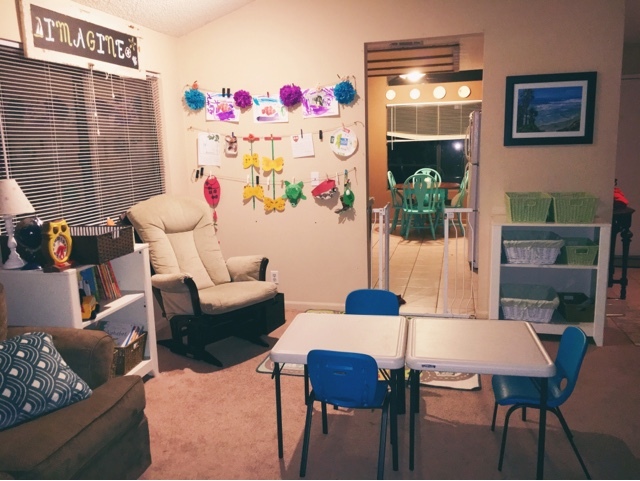 As an aside, and since we're discussing curriculum and therefore environment and themed learning, I changed my homeschool room around a few weeks ago and completely organized it. Isn't is fabulous?? In all honesty, it's my dining room. 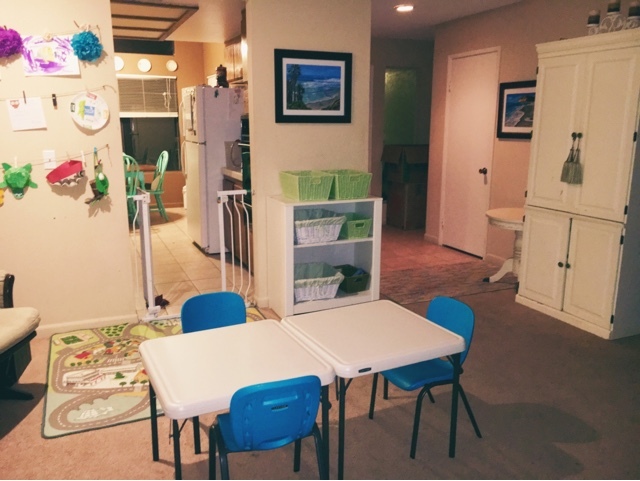 I have a very small home and we have one big room that combines the dining room and family room. To some it might be tacky to have this "classroom" when you first walk in...But to me, it symbolizes what I'm wanting our home and life to be--a welcoming environment of learning and love. I've already changed it a bit, and in a few weeks I'll share more recent pictures. This month looked a bit different for our family, so instead of sitting and planning by myself like I usually do, I sat with my two teammates and asked for their help in planning. Needless to say, they were definitely thrilled to collaborate together. I told them that the theme for the month would be zoo animals to which they replied that it was their "favorite." This doesn't surprise me...most themes in MGT have been their "favorite." We have a very busy month filled with vacation bible school, end of school activities, and surgery for Tiny B, so I knew that we were going to have to pick out a few animals and activities because we would definitely not have time for all of it. My objectives were also different this month. 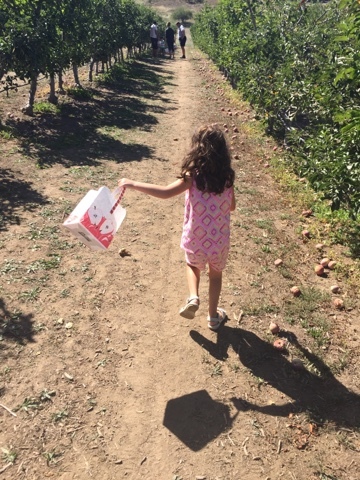 I wanted to focus on writing with Tiny B and I know that Strong B simply needs time to acclimate to being home every day and not at preschool for six-nine hours a week. Simply put, my objectives were not so much academic or covering all areas such as number sense, reading comprehension, letter sounds, etc. I simply wanted to work on her writing and start to get him used to learning solely with me, and give him a taste of the amazing things we will do many of our days when September comes around. God has been calling me to a time of rest this summer, and therefore I'm looking at our academic plans through different eyes. 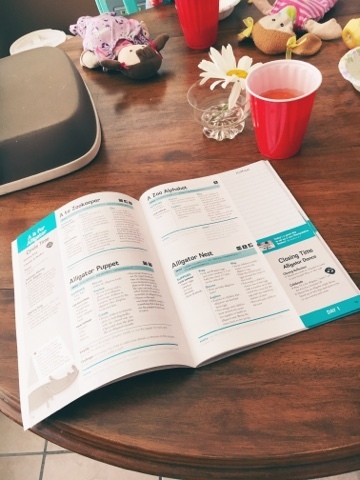 A few days ago my friend and I were discussing the homeschool convention that both her and I are attending this weekend, and she noticed that a speaker that I was raving about uses the Charlotte Mason method. When she told me in a sentence what that meant, my first thought was that that method is absolutely not one that speaks to me. And my public school teacher mind went, "But I'm about getting my children to meet the standards. I know how to do this. I know how to pick materials that will accomplish this and I know how to school for a few hours a day and squeeze in the most important objectives and as soon as we've met those we'll move on." 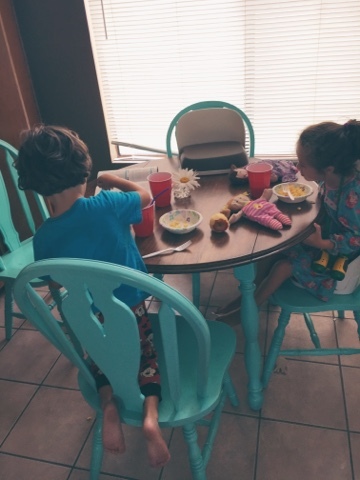 But then I really started thinking about how I want to totally emerge my children in learning all day, and not just at their little desks in my dining room. And maybe, just maybe, meeting the objectives should not be at the top of my list of importance. Maybe "to develop a love of learning, people, God, and life" should be at the top. And I had to stop there, not because I didn't love it, but because it absolutely spoke to me and I knew that I wanted to totally delve into as I attend my homeschool conference this weekend. My friend had mentioned theme studies as part of what she loves and subscribes to as she homeschools her children with her love of Charlotte Mason. As a public school teacher, we used themes to teach the standards, but we never used themes only to teach more about the subject. For example, when I taught 3rd grade, I taught about deserts, but used it as a means to teach writing, paragraph structure, reading comprehension, etc. I have changed my thoughts on theme studies this year due to MGT's curriculum. 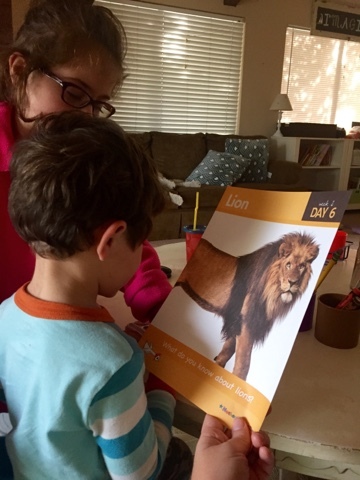 Yes, we used the theme of "Safari" as a vehicle to teach letters and fine motor skills and reading comprehension, but we also used the theme of "Safari" to teach about going on a safari! We went to The Safari Park Zoo about five times during that theme study and totally immersed ourselves in the animals and people that you would find on a safari. This deepened their love for learning and knowledge. Seeing theme studies as totally beneficial is a complete 180 for me. 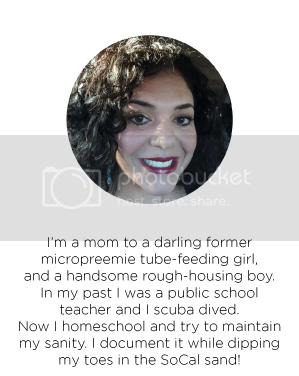 Last year at the homeschooling conference a lady told me that as a former public school teacher, I was going to have a harder time than other homeschooling parents who haven't taught. I got sooooo mad at her. But after a year of homeschooling, I learned that she was right. She also told me that having been a public school teacher was going to be a detriment to me, and on that account, I can say with full confidence that she was wrong. I'm thankful every day for my training and the years I spent in my classroom and I know that I can bring the best of both worlds together...Because I truly believe that both worlds want the best for all children, and that the teachers in both worlds know a lot about how to educate children in an exciting yet effective way. 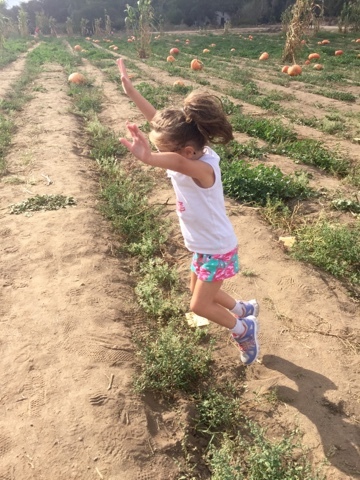 I think back to all of the fun/learning of objectives/love of learning we've had all year, and it makes my mama/teacher/homeschooling mom heart go pitter patter. Today I leave for the homeschooling convention, and my mind is open to the things that I wasn't ready to learn last year. I can't wait! A to Zoo Animals Begins!